The hockey community lost a number of important members over the course of the past year. The impacts that they had on the game in various countries and eras was indelible. Without them, the game as we know it would not be the same. Here, we remember their accomplishments. 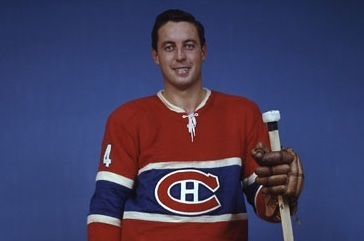 For years, Beliveau was seen as an icon and epitome of what it meant to be a Montreal Canadien. What makes all he has done for Montreal even more remarkable is that at first, he wasn’t particularly interested in playing for them. The Canadiens held his NHL rights, but Beliveau chose to remain in the Quebec Senior Hockey League. Finally, the Canadiens got impatient and they purchased the entire league, forcing Beliveau to play with them. The rest is history. He participated in 13 All Star Games, won the Hart Trophy twice, was a 1st or 2nd All Star Team member ten times, won ten Stanley Cups, and was top 10 in scoring twelve times. And he did it all for the Canadiens. Beliveau was a true force out on the ice. At 6’3″ 205 lbs, he was a giant for his time. His skating was powerful, his shot lethal, and his playmaking exceptional. But above all, he was a true gentleman and leader on the ice that played the game the right way. He is rightfully regarded as one of the greatest hockey players of all time. In the Soviet Union, Viktor Tikhonov’s coaching style was extension of the government that ruled the country. He ruled as a dictator with absolute power, demanding only the best from his players. His grueling tactics were certainly abrasive, but you cannot say Tikhonov was not successful. He became the head coach of CSKA Moscow and the Soviet National Team in 1977, and won a treasure trove of hardware. He won the Soviet domestic league 12 years in a row from 1978 to 1989, won 8 World Championship gold medals, and 3 Olympic gold medals. Seth Martin is not a household name in the NHL, chiefly because he only played 30 games in his NHL career. However, he was able to enjoy a very decorated international career. He played in an era when the World Championships and Olympics only allowed amateur players to participate. Four times Martin was named the Most Outstanding Goaltender at the World Championships, second most all-time and ahead of Soviet legend Vladislav Tretiak. After his only NHL season, Martin chose to move back to his hometown of Trail, British Columbia to be a firefighter. A teammate of Jean Beliveau’s for two Stanley Cup championships, Tremblay was a key role player in his time in Montreal. He was a dedicated two-way player that was the type of player that teams win championships with. After his playing career, Tremblay moved to the broadcast booth where he served for 26 years. In 2002, he was recognized for his broadcasting work when he won the Foster Hewitt Memorial Award given annually to an outstanding broadcaster. A versatile player, Mohns made an impact on the game in multiple positions chiefly for Bruins and Blackhawks. In Boston, he served mostly as a defenseman where he was voted a top ten defenseman on three separate occasions. In 1959-60, he became just the second defenseman in history to score 20 goals in a season. When he moved to Chicago, he was placed at left wing alongside Stan Mikita and Kenny Wharram to form the Scooter Line. The line would go on to become one of the most successful in all of hockey in the 1960s. There, he utilized his defensive prowess as a checker, but contributed on the offensive side of the puck as well with his strong skating and booming slapshot. He was voted one of the top seven left wings in the NHL five times. While he never played a game in the NHL, Bob Suter’s name will forever remain etched in US hockey history. He was a member of the US Olympic team that upset Viktor Tikhonov’s Soviets in the 1980 Olympics. Unable to break into the NHL, Suter retired and spent the rest of his life around the game of hockey. He opened a sporting goods store, coached youth hockey, and became part owner of an ice hockey rink in Middleton, Wisconsin. He was also the father of current Wild defenseman Ryan Suter. Known by friends as “The Big Irishman”, Quinn spent time with the Maple Leafs, Canucks, and Atlanta Flames as a player. On defense, he was known as a rough customer, eclipsing the 100 penalty minute mark on four separate occasions. 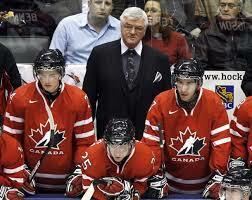 As a coach, Quinn served a number of roles in the NHL and with Hockey Canada. Highlights include coaching the Flyers to their record 35 game unbeaten streak, winning the Jack Adams award twice, and coaching Team Canada to gold in the 2002 Olympics. A two-time Staney Cup Champion, Vadnais made his living as one of the best offensive defensemen in the 1970s. After starting his career with the expansion Golden Seals, he moved to powerhouse Bruins in 1972. In Boston, he enjoyed the best years of his career that included a 3 year stretch of seasons with 59, 74, and 57 points. A physical player in addition to his dynamic offensive skills, Vadnais surpassed 100 penalty minutes on ten occasions. In 1973, Vadnais was mistakenly arrested in Philadelphia when he was mistook for a wanted bank robber by police (he was released shortly after). Don Ward, Joe Junkin, Jack Stoddard, Keith Allen, Joe Bell, Ron Murphy, Jim Mikol, Chuck Scherza, Bill Mitchell, Lionel Heinrich, Ralph Nattrass, Ross Lonsberry, Brian Marchinko, Larry Zeidel, Guy Trottier, Milan Marcetta, Al Suomi, Wally Hergesheimer, Len Ronson, Valeri Karpov, Germain Gagnon, Connie Dion, Andre Gill, Bob Solinger, Ed Kachur, Karel Gut, Edgar Laprade, and Doug Jarrett.